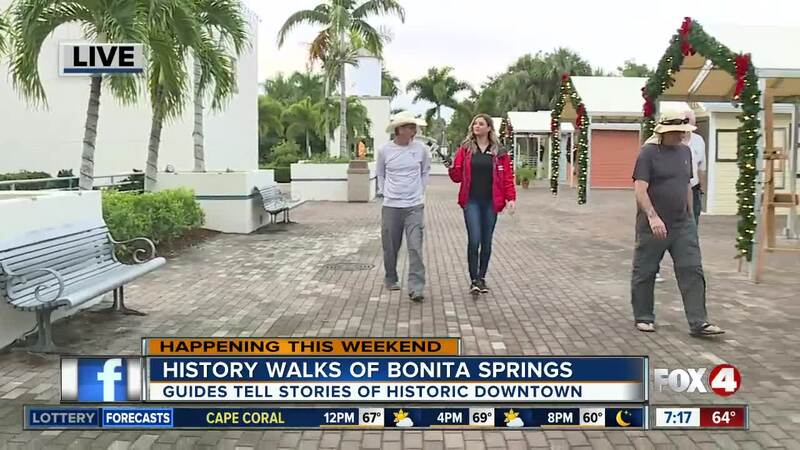 If you take a tour, local guides will tell stories of early Bonita Springs, and take you through downtown landmarks, places of wonderment, tell you how Bonita Springs got its name, take you past the Imperial River and more. BONITA SPRINGS, Fla. — The Bonita Springs Historical Society partnered with Calusa Ghost Tours to offer a variety of educational history walks in Downtown Bonita Springs beginning on Sunday, December 2nd. The first walk is on Sunday, December 2nd from 10 a.m. to 2 p.m. and the tours continue every Sunday through April. You can also call for custom tours. To make any reservations, call 239-221-8218 or email calusaghosttours@gmail.com.